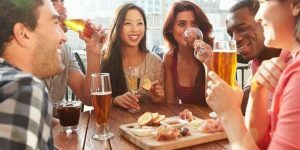 Afternoon Wine, Beer or Spirits Tour from Big White Ski Resort - Wine, High Spirits or Brewery tour options. Departs daily from Big White Central Reservations at 1pm. A beautiful drive to our favourite spots in Kelowna. Experience some of Kelowna's beautiful, hidden gem, estate wineries, the craft beer revolution, or taste some amazing spirits from BC’s oldest craft micro-distillery. Select your preference at checkout.